It starts off like most jukeboxes, with a coin, which the patrons inserted into the multiphone– but here’s where the phone in “multiphone” comes in. 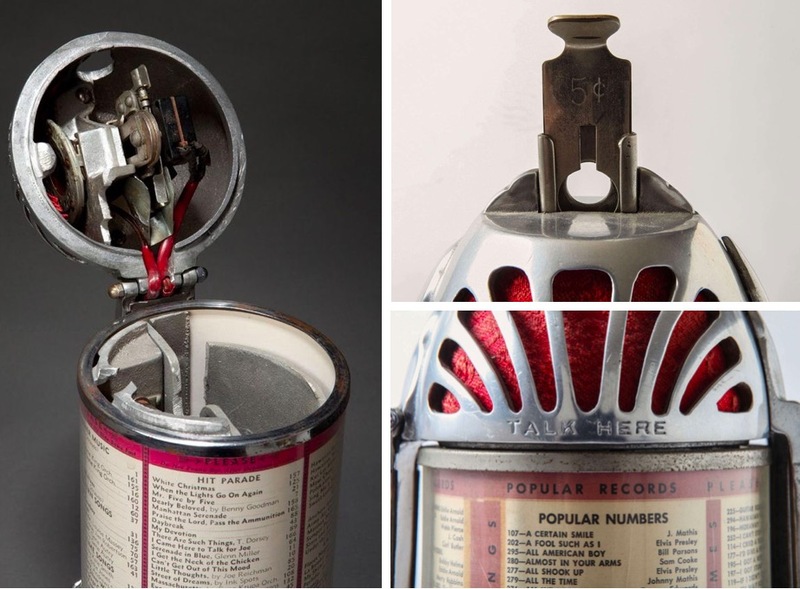 These little machines actually connected diners straight to a telephone operator whom they could speak with through the microphone and request a track. 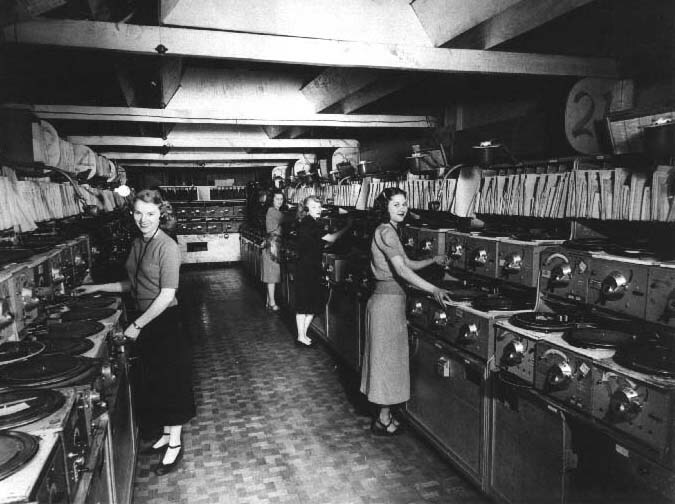 Between 1939 and 1959, these dedicated telephone operators were doubling as disk jockeys, ready and waiting at their turntables in the Central Music Studio in Seattle. Operating over telephone lines mostly in Seattle, Tacoma and Olympia, Washington, this team of all-female disc jockeys would manually play the requested song on a phonograph, playing the music through the telephone connection. And out came the music through the little speakers. How about that! 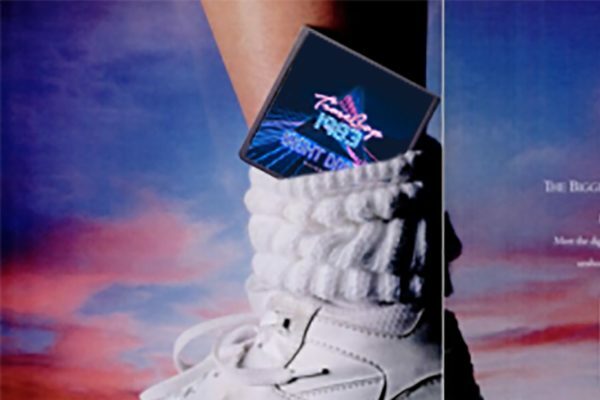 Doesn’t it remind you of when you would play your favourite new tracks over the phone to your friends? 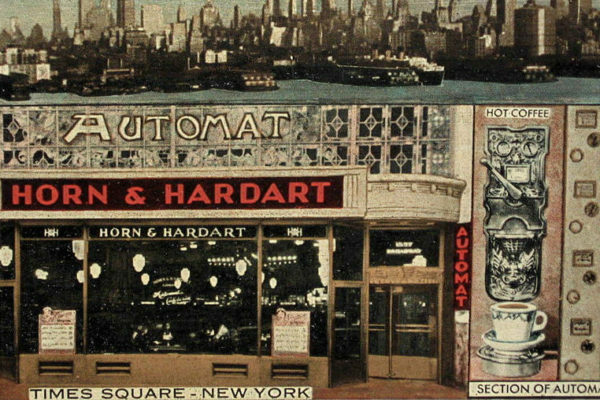 Multiphones had a record range of 170 whereas jukeboxes of the time only had a record range of 20-48. 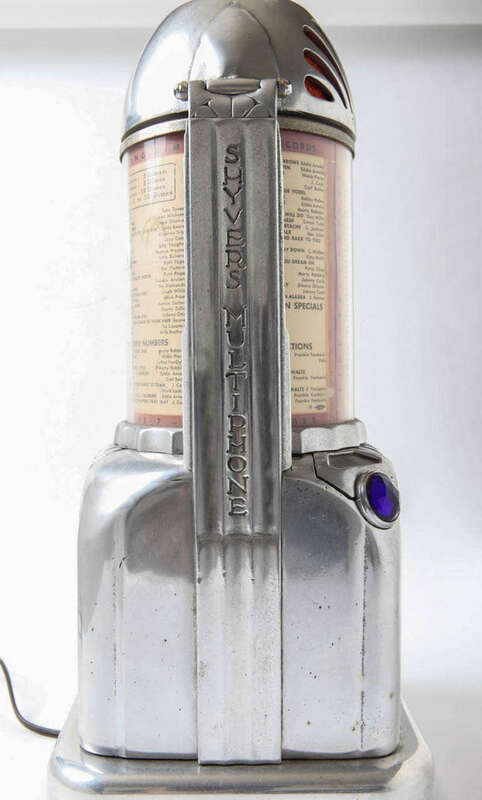 Each song on the Shyver was given a number, displayed on the menu encased in the cylindrical case, which could be rotated to make room for all the possible selections. 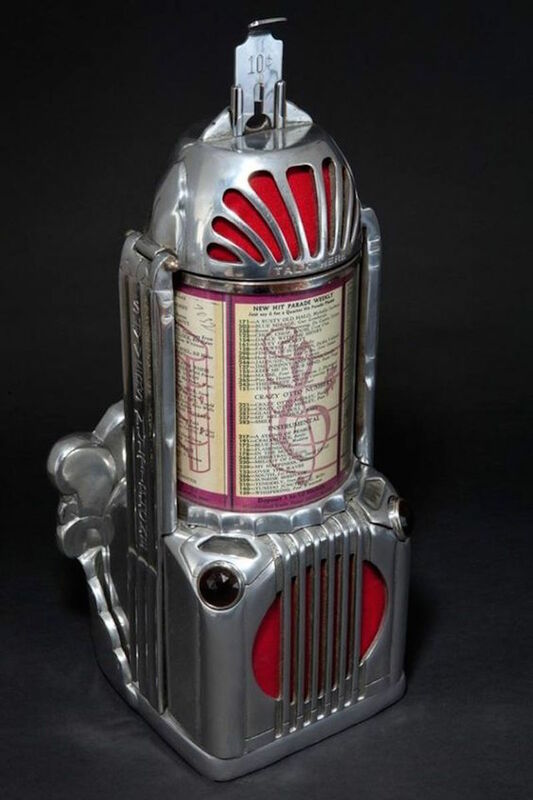 When the 5 cents (some later models ask for 10 cents) was inserted, the two lights on the Multiphone would light up, indicating the telephone line was connecting to the library. This is when the customer would actually speak to the disc jockey through the small speaker at the top. I wonder if they made any small talk during the request process! 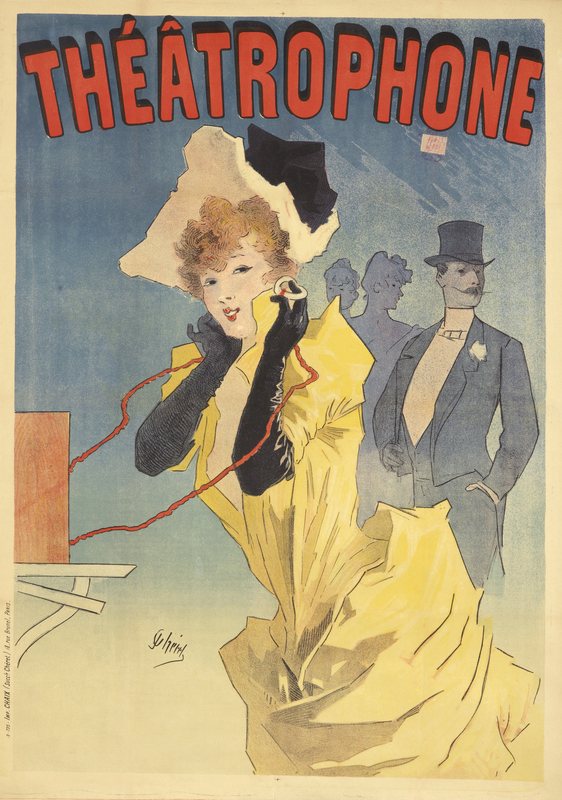 Hop over the Atlantic to Paris forty years earlier and you would have encountered the coin-operated “Theatrophone”, set up in hotels, cafés, clubs and theatres across the city. 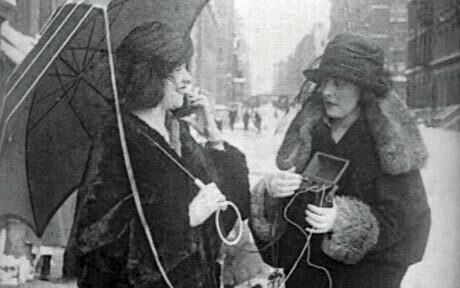 Invented in 1881, the earliest telephonic distribution system could broadcast and transmit sounds to 48 listeners at a time through various telephone lines running through the sewer systems. 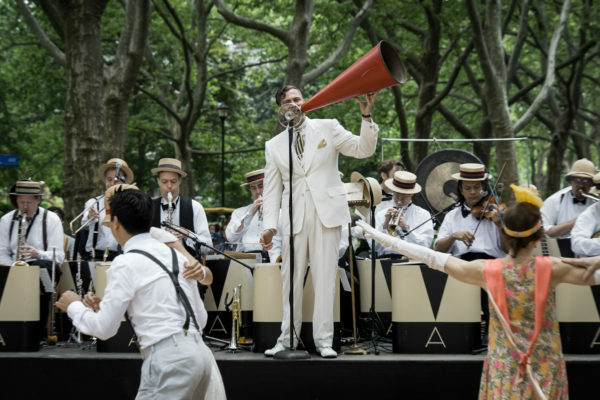 It was indeed the first public broadcast entertainment system, commercialised by the Compagnie du Théâtrophone, which continued to operate till 1932. 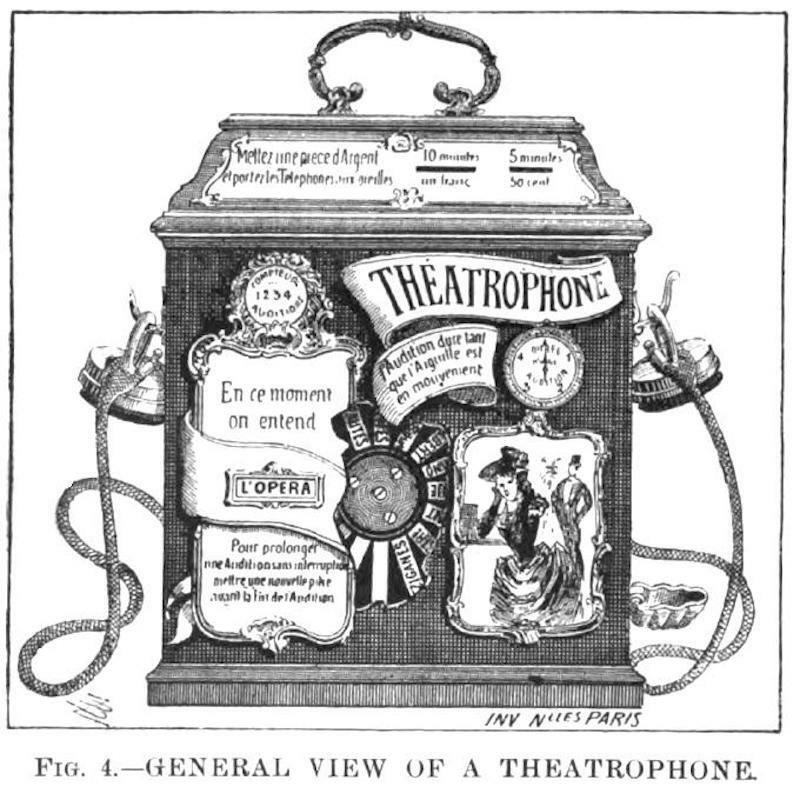 Costing 50 centimes for five minutes of listening, including news programs at regular intervals, Victor Hugo described his first experience of théâtrophone as “pleasant”. 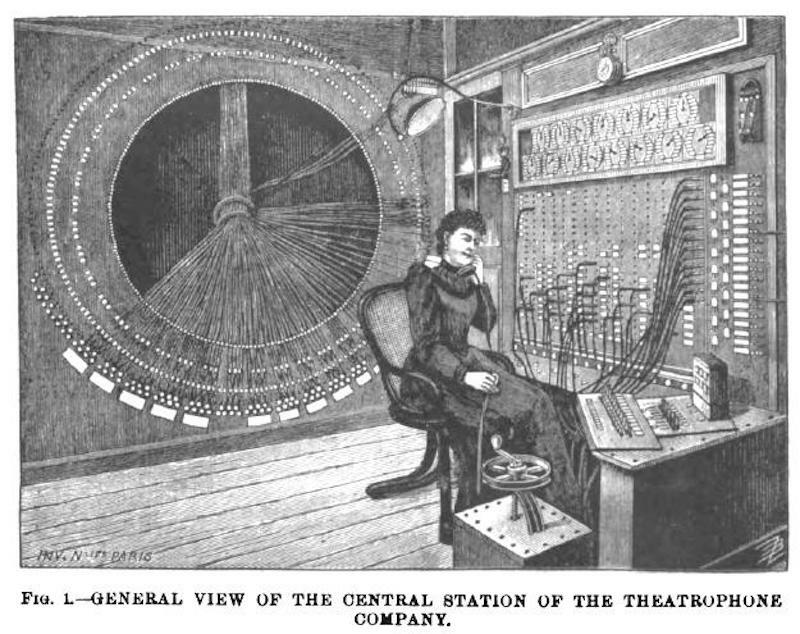 Foreshadowing today’s popular music streaming services such as Spotify, the Theatrophone service also offered subscription tickets at a reduced rate to attract regular subscribers, even at home. Marcel Proust was a keen subscriber to the service. 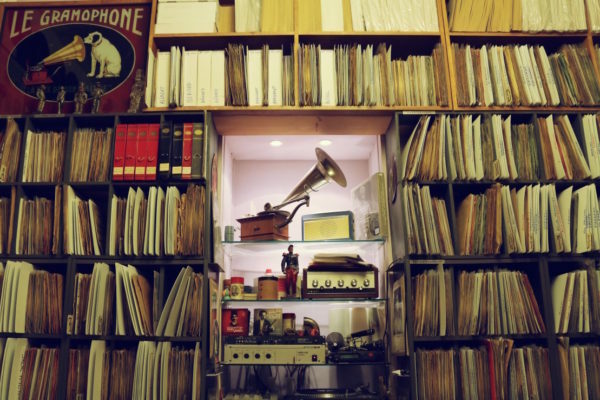 When the concept was adapted in the United States by Kenneth Shyver and his wife Lois in 1939, it went on to be the most successful of these various telephone line-based music libraries. 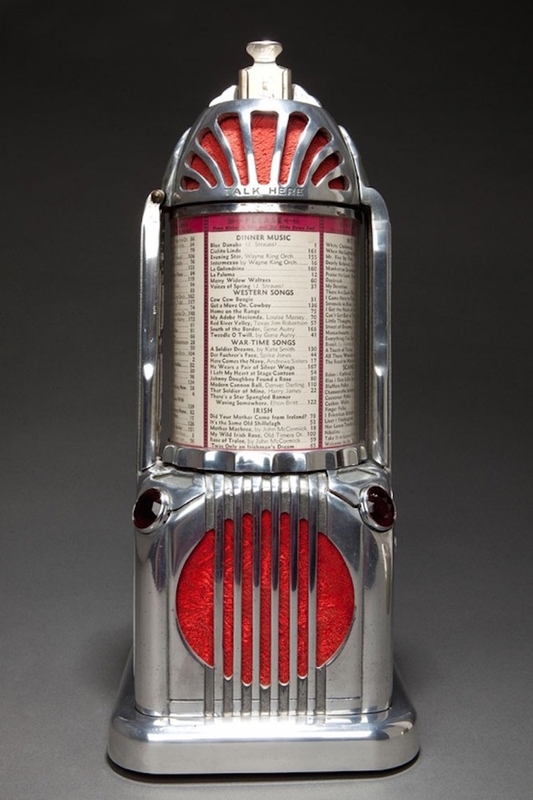 Compared to the coin-operated photographs of the time which gave users a choice of only 24 songs, Shyver’s Multiphone offered a much larger selection of up to 170 songs. 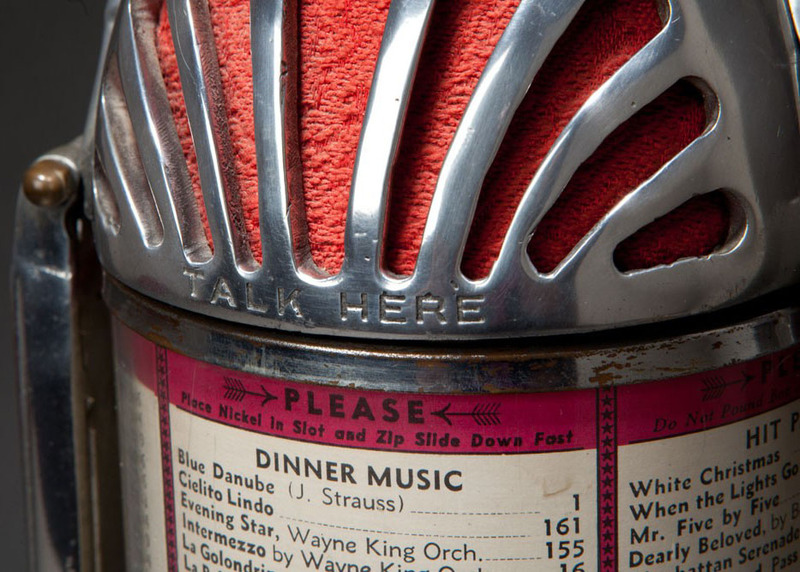 It was around the same time that “jukebox” actually first came into colloquial use in the United States, around 1940. 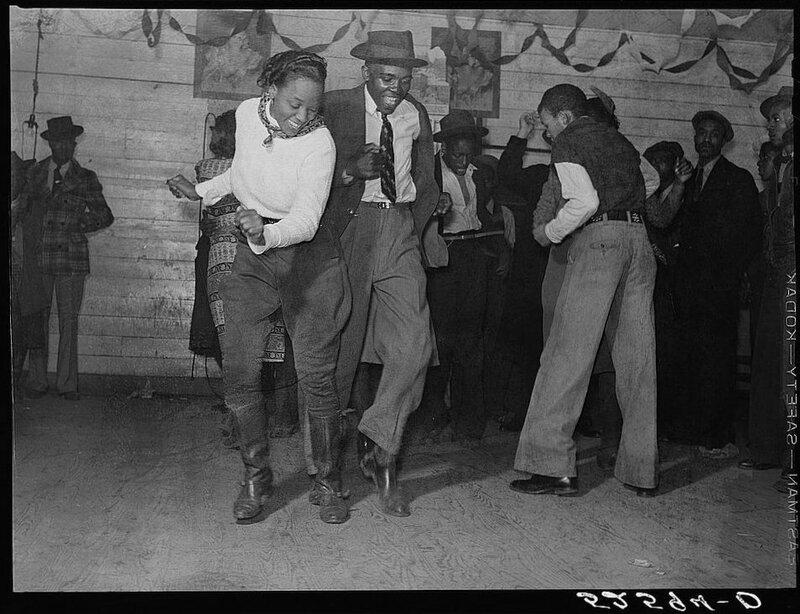 The term originates from the “Juke Joints” of Jim Crow’s deep South, where these informal dancing, drinking and gambling establishments (rarely more than ramshackle huts) were primarily operated by African Americans so they could have somewhere to socialise since they were barred from most white entertainment establishments. The word “juke” derives from the Creole word joog or jug: rowdy, disorderly or wicked. 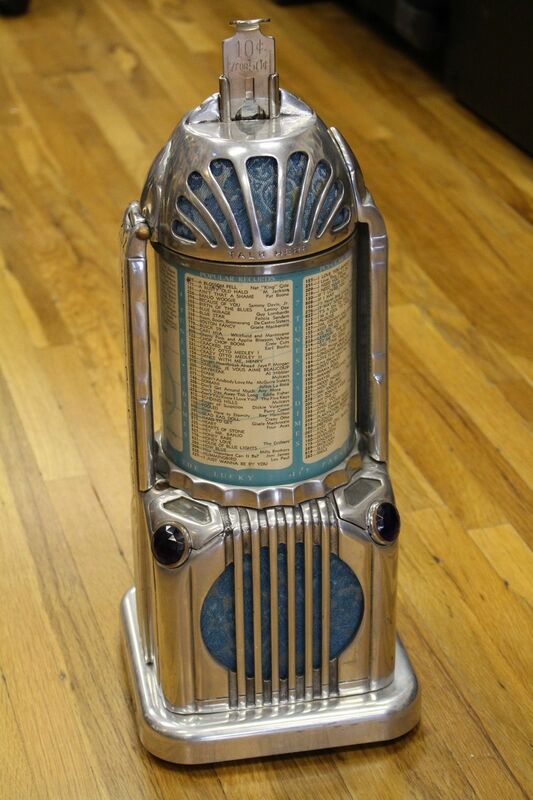 When African American workers and former slaves migrated north in the early 20th century, they brought the term with them the term, and the cafes, restaurants and bars that started housing coin-operated phonographs became known as “juke-joints.” By the 1930s, the stigma of juke being considered a ‘black’ term was lost and “jukeboxes” became part of general society’s official vocabulary. As for Shyver’s Multiphone jukebox? 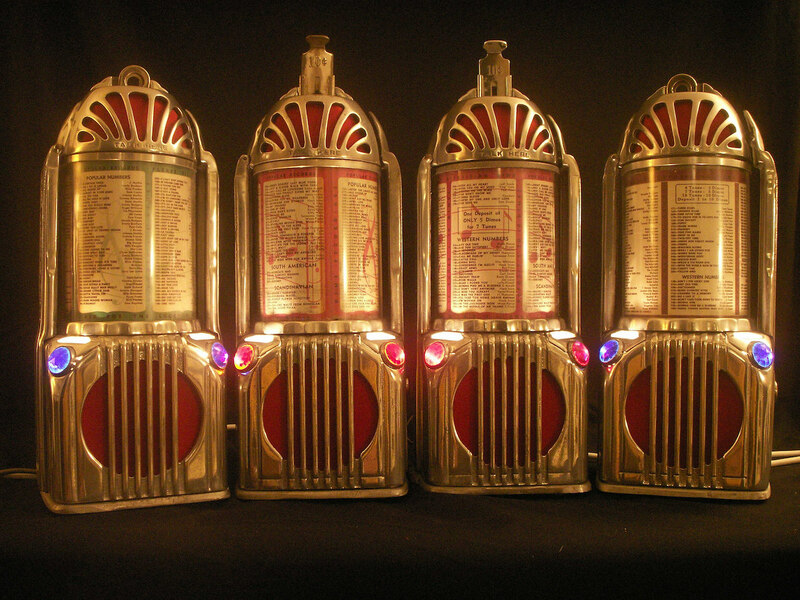 When newer technologies allowing jukeboxes to host a larger music library, the Multiphone met its match. 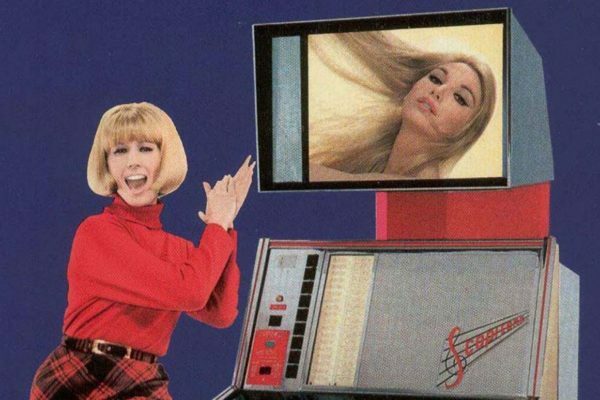 The 45 rpm records brought forth a new jukebox that could hold more than 100 songs, without the disc jockey ladies waiting at the other end of the line. 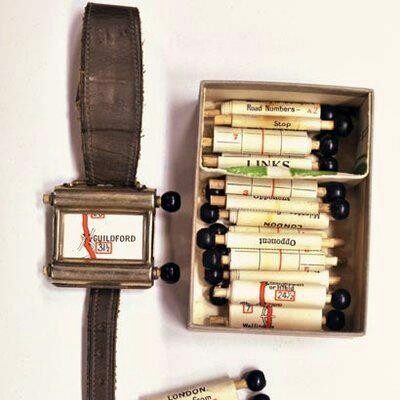 By 1959, the lines went dead and Shyver had taken his Multiphone off the market. 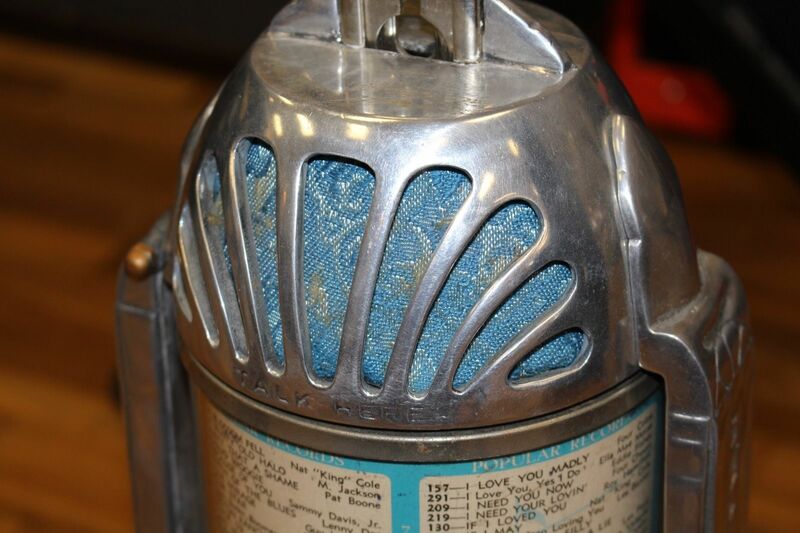 If you’re interested in owning a piece of this fascinating music history, the rare machines occasionally pop up on eBay and there are currently two up for sale on the online marketplace with a base offer of $1,999. You can also watch a guy take one apart on Youtube (video quality not great). 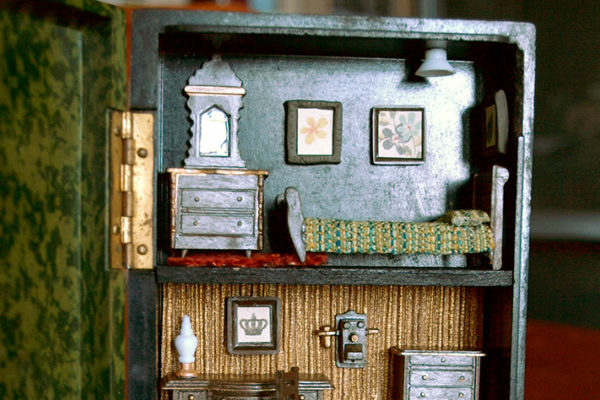 One of the models on offer on eBay was found at an estate sale and was kept in a box since the 1970s. Of course with Shyver’s disc jockeys out of commission, it’s only for display, but wouldn’t she make a mighty fine display at that. A true music history collector’s item. How Can Paris Let this Museum of Music Treasure Close Down?